First establishing ourselves as the first food truck centric online food truck trade website in 2010, Mobile Cuisine has grown organically throughout the mobile food industry. 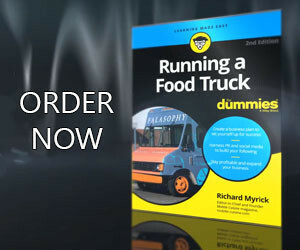 We have become THE online destination for those wanting to learn about the starting and running a successful food truck or other form of mobile food business. Starting today we are looking for like-minded partners to become Mobile Cuisine Affiliates to nurture a future together that’s even more successful. To join the Mobile Cuisine Affiliate Program, your website should be unique, revolve around food trucks or food business with inspirational content. Receive 20% commission on paid membership referrals, individual sales, excluding returns. Commissions are recurring as long as a referral account remains active. Regular updates on products and promotions. Access a library of banners and logos to use on your site. View up-to-date visit, referral and payout data in your affiliate area. Tracking cookie stored for 30 days after the first visit to maximize earning potential. Get affiliate support with our dedicated affiliate manager. Payouts processed monthly via PayPal. Who should become a Mobile Cuisine Affiliate? What do I do as a Mobile Cuisine Affiliate? Showcase our ads, banners and links on your website. Promote paid Mobile Cuisine memberships. For more information on the specifics on the Mobile Cuisine Affiliate program check out our affiliate agreement.